Let’s Eat: Cacao Buckwheatie Brittle! 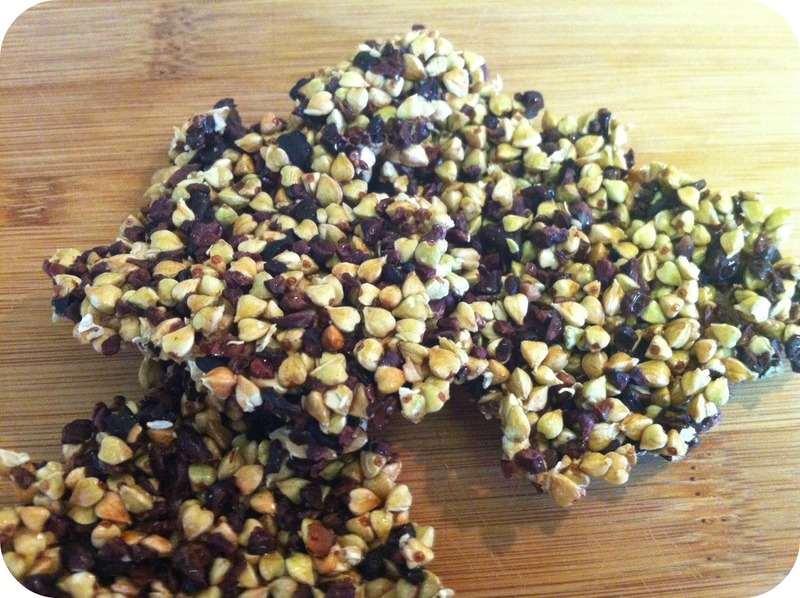 Buckwheaties are dehydrated raw, sprouted buckwheat groats. 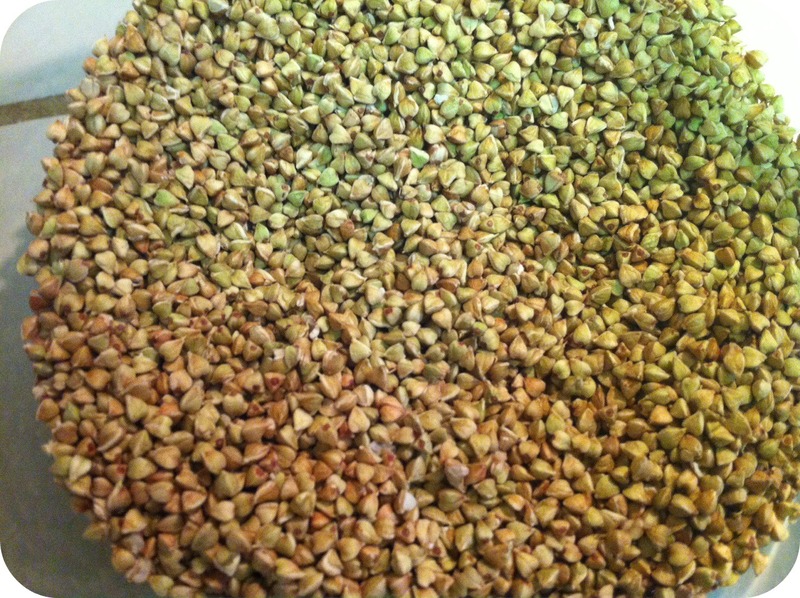 You can eat them like cereal or grind them up and use as flour in raw recipes. OR you can make brittle! Several months ago I bought a little bag of buckwheat groats at this tiny local health food store with the intention of making raw cereal. Last week I finally started the process. I looked online for some guidance and found all kinds of conflicting info. Soak them overnight. Don’t oversoak or they won’t sprout. I was confused but decided to wing it a bit and soak them overnight and see what happened. At that point the groats could have been eaten for a truly raw experience. Or I could have continued to let them sprout and then added them to salads. But I continued my quest for raw cereal. 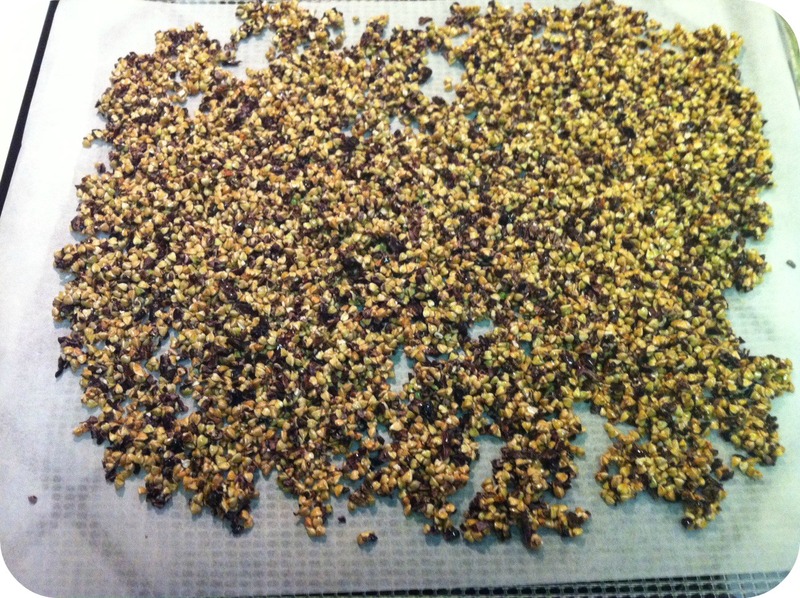 I spread the sprouted groats out on dehydrator sheets and put them in the machine at 115 degrees F. I let them go for about 8 hours. They seemed dry and ‘done’. When I squeezed them between my fingers they crushed easily so I figured they were dry enough. The next morning (this is, like, four days later from starting the process!) I poured them into a bowl and was about to pour some soymilk over them for breakfast when I decided to give them a taste first. They tasted like I figured they would. Planty. Sprouty. Groaty. They would have been good with some berries and agave or stevia. But it was Sunday morning and I wanted something heartier. And more Sunday brunchish. So I made pancakes. I decided to follow the advice of one of the blogs I came across and flavor them and give them another spin in the dehydrator. 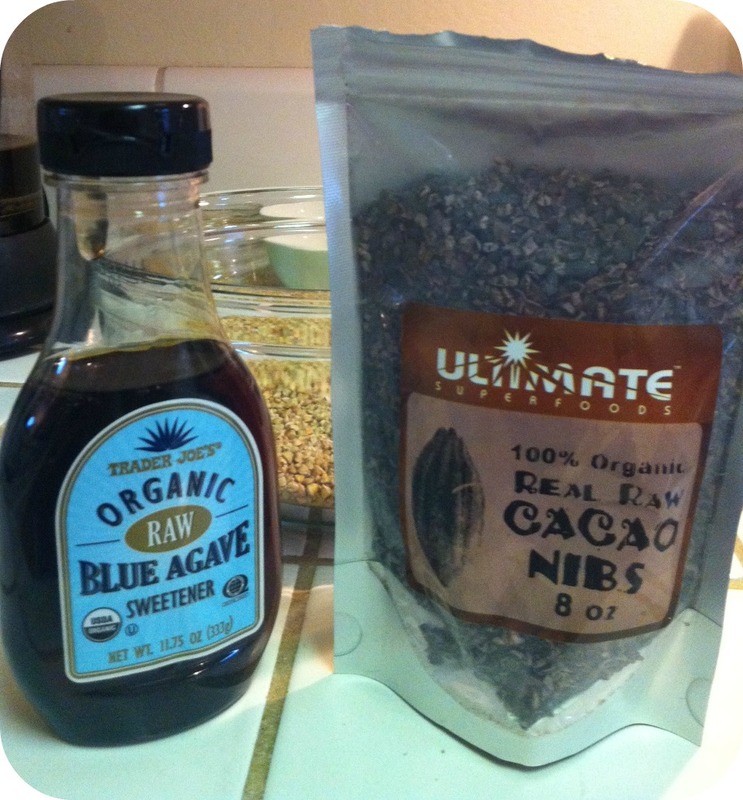 So I made a coating using raw agave and raw cacoa nibs. 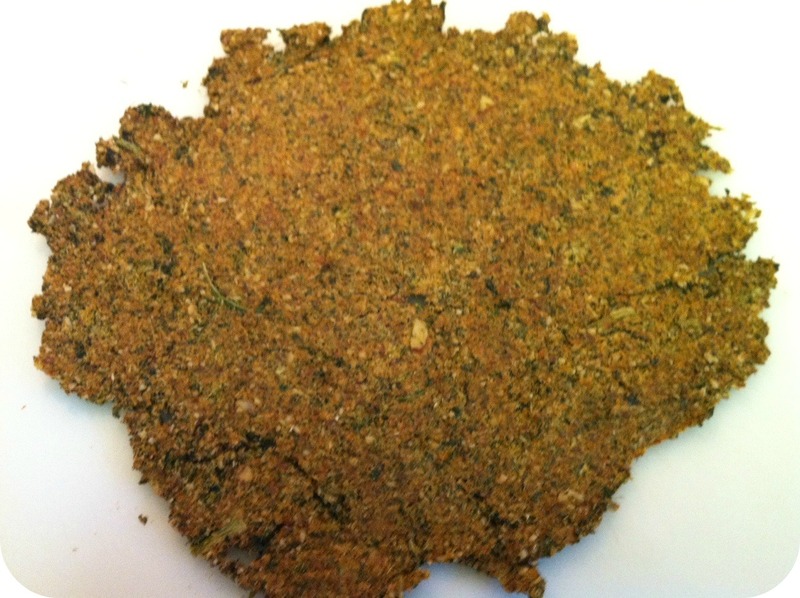 I mixed the groats with the coating and spread it out of parchment paper (I don’t have those special sheets for my dehydrator). I dehydrated overnight. The next morning I flipped it over and dehydrated another eight hours or so. 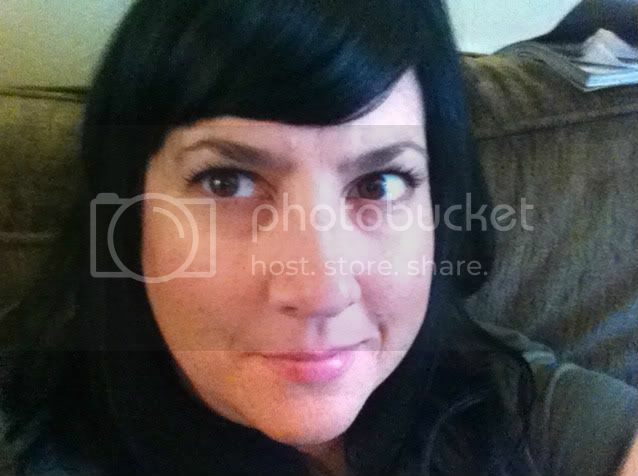 I was so excited to find some good stuff! First off I got two big bunches of very ripe bananas. I won’t be juicing these. 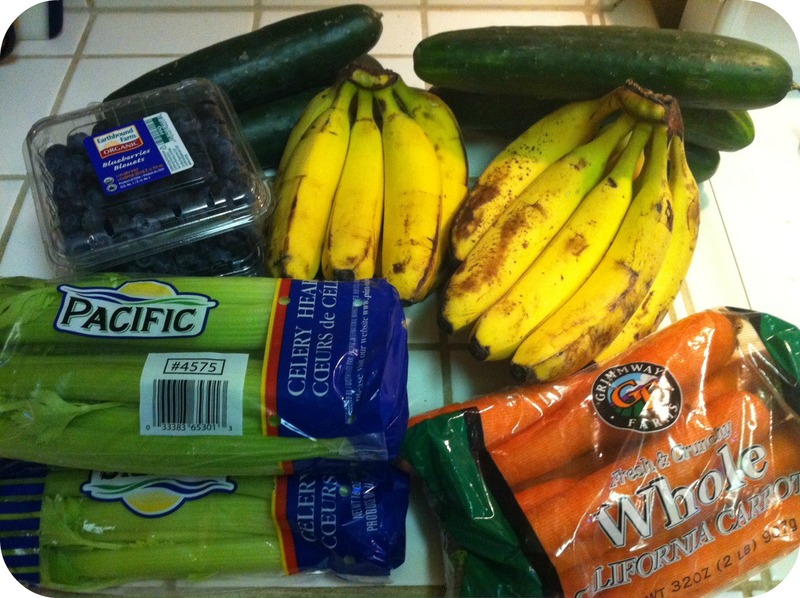 I’ll be freezing them in halves and using them in smoothies and raw banana soft serve! I can’t wait to have a freezer full of bananas! And then I found local celery and carrots. And ORGANIC BLUEBERRIES!!!! Beautiful organic blueberries! I got three pints, but there’s only two in the picture because I inhaled one of the pints at my desk after I bought them… And then there were cucumbers. And these were actually two for 99 cents! Now, they aren’t organic, but I will peel them before I juice them and they will be almost as good as the organic cucumbers I pay $3 a piece for normally. Check out this beautiful bounty that only cost me $12.00! These raw nachos were three days in the making! But they were totally worth it! I was inspired by my friend Ty over at Camera Phone Vegan. She’s been eating high raw lately and we both love nachos. 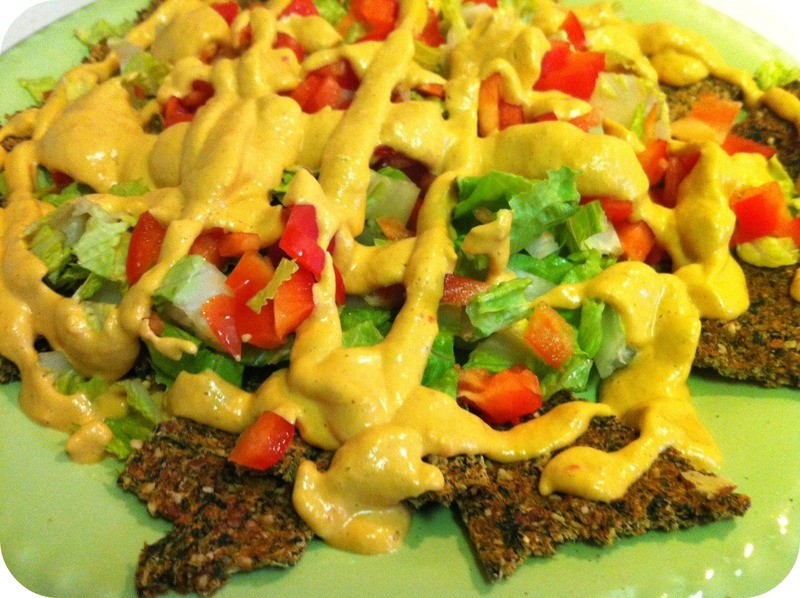 So when she made raw vegan nachos with a cashew queso sauce, I HAD to try it! I cut the crackers into wedges and then broke them in half for the ‘chips’ in my nachos. When I was ready to make the nachos I arranged them on a plate and topped with chopped romaine and red bell pepper. Then I made the queso sauce! Holy Moly! This stuff is awesome. I kept eating it out of the blender with a spoon. I used Ty’s recipe found here. The only things I did different were to use a red bell pepper instead of yellow, I added a clove of garlic, and I added a 1/4 teaspoon cumin. I liberally drizzled the sauce over my nachos and it was beautiful! 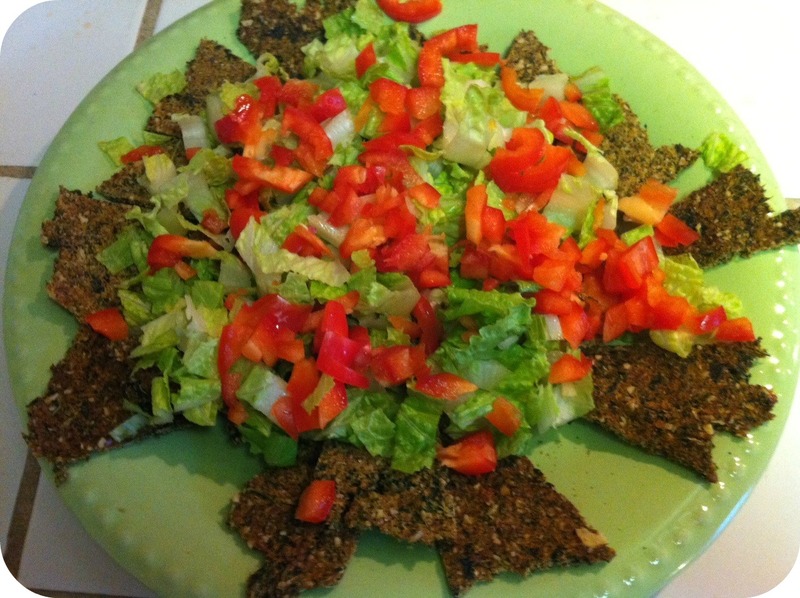 I thoroughly enjoyed these raw nachos and I plan to make them again and again! I have leftover sauce that I think I’ll use as a dip for veggies or a salad dressing later this week. YUM!